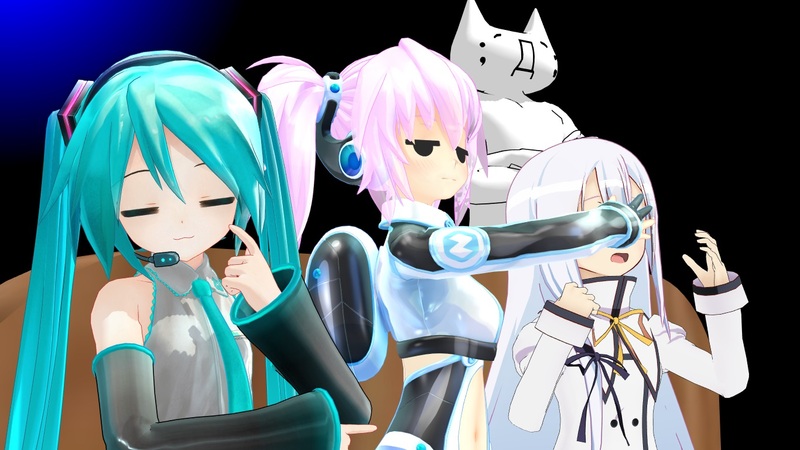 This time, as the title suggests, I have compiled and will showcase a list of some the most talented MMDers who have impressive and inspiring stories and wonderful MMD animations. To make this clear, the order you see here does not have any particular order, at all. Please note that: “This is just my personal opinion” and none of these people asked me to mention their names and respective channels. The main reason for this article is to be educational and informative… and to introduce you to some of my favorite MMDers. The spot will go to the channels of those artists who mainly focus upon making their own motions. This will exclude MMDers who frequently use existing motions in their videos. Aside from the jaw-dropping motions, I also include some channels that have good story-telling (with a decent motion)… I mean, not many people can make extremely realistic motions, right? Channels featuring too many videos of less than a minute or two in length (without good quality) will also be disqualified. And finally, if I didn’t happen to mention any of YOUR favorites in this list… DON’T WORRY! … I will be doing MORE “Top-Tens” in the future. So, please, do leave a comment in the comments section below if you think I am wrong or if you want tell me of artists you’d like to see on the list in the future. 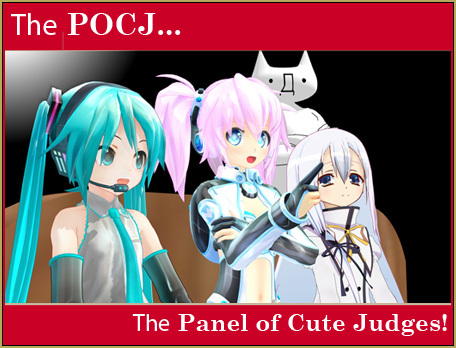 The judges react… CLICK for full-size image! First on my list, we have an MMDer who is quite famous in the (Western) community: mahlazer! 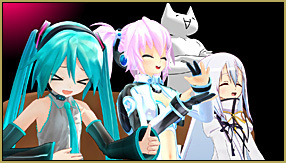 The “random” videos that he makes are extremely well made in terms of MMD motions! What makes him more interesting is that he often provides download-links to his own motion files in his video descriptions so other MMDers can use them. Remember to leave proper credits if you DO use his motion files! An MMDer from Thailand! 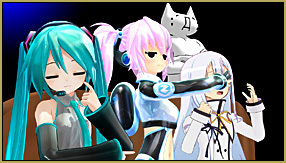 Similar to mahlazer, Boomer also makes “random” MMD videos and a popular series “Knight of Vocaloids”. A lot of the videos are pretty funny and entertaining to watch despite our not understanding the language. But the biggest surprise is that all the videos I have watched (so far) have voice acting in them! This Japanese MMDer is one of my favorites! Some of his/her videos are full of comedy and insanity (in a very bizarre way). Although his/her channel has a mixture of both existing and self-made motions… it’s still pretty fun to watch. For some reason, this person has a serious love of mustaches! 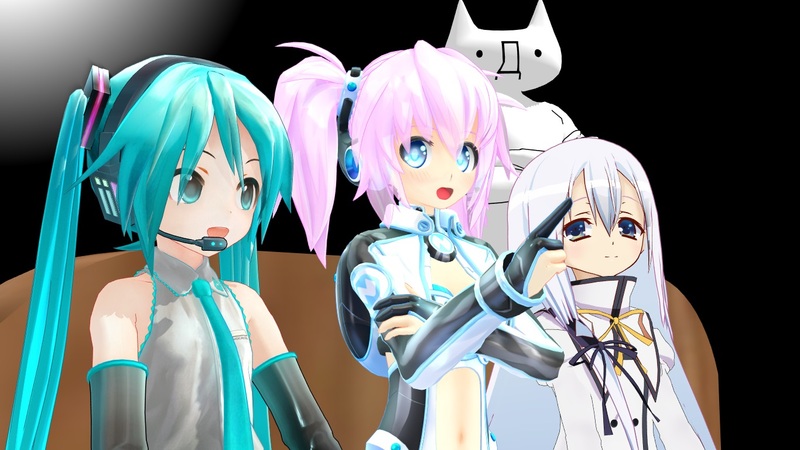 Numa P is another Japanese MMDer who seems to enjoy making short-story MMD videos. Besides the funny contents, a lot of Numa’s videos have English annotations… which are very “friendly”. And if you happen to be an Animasa fan, then this channel is definitely worth visiting. Note: there are some “inappropriate” moments! Moving on, we have NadashikoLove1 (from Mexico) who also loves to make her very own story-telling! Her videos mostly center around comedy, love and action stories… this channel is suitable for those who enjoy anime-like content. And “no,” I’m not making the “anime” word up, because she really has videos that are almost like full episodes; up to 15-minutes long! Next we have, TheVeryFinalCat, who started around 2009! Now, this channel has a lot of short videos… so, naturally, I can disqualify her from this list! But what really makes her so special is that her overall motion, lip-sync and jokes are quite good… so good that, sometimes, I forget that I am watching a “less than 2-minute video”! Alright, how do I begin with this artist?… she is an animator, a voice actress, and an amateur singer! So, naturally, crackerbarrel1000 doesn’t just focus on MMD on her channel. But when she DOES post an MMD video, her animation skills and the overall quality of the video is superb! Personally, some of the videos really did give me a spine-chilling. Like me, ‘Ria also makes her very own music videos! 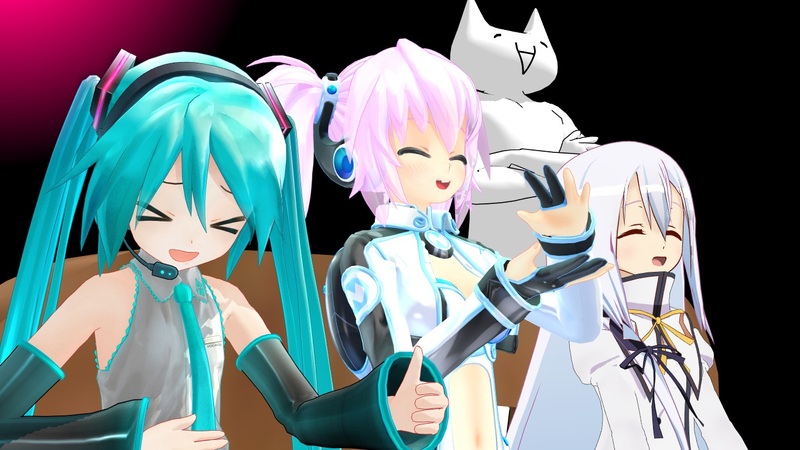 What I truly admire in her works is that her MMD music videos don’t look like fan-made videos, at all. Even though most of the videos don’t showcase the full length of the song, you can clearly see how talented she is… her videos are suitable for people who want to enjoy the nice animation and who don’t mind the shortened songs. 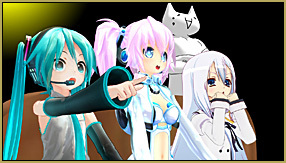 Following up is Miau who also focuses on Vocaloid music videos (mostly). But, what makes her standout is her impressive video editing. Plus, along with her smartly executed effects and motions… she makes her videos very entertaining to watch. The videos on her channel are usually a little “too dark” or a little “too cute”, if that’s even possible! Yup, the last spotlight goes to myself…why wouldn’t I? Although I started MMD less than a year ago, at the time of this writing, people seem to enjoy the ideas and lip-sync that I create. 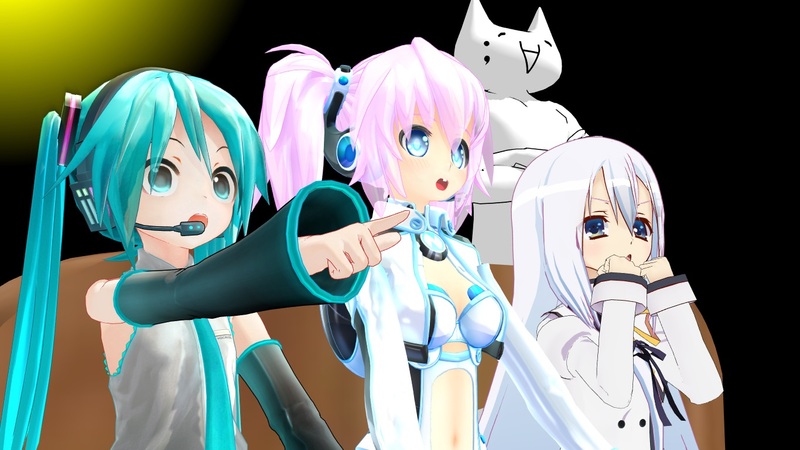 When it comes to MMD, I always “think outside of the box” and try to push beyond the limits of what MMD is capable of. SPOILER: I’m not going to do any “kissing-scenes” as it’s forbidden in my country and I feel uncomfortable animating it, as well!